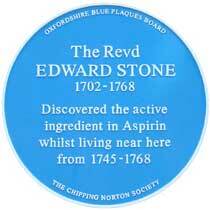 Edward Stone (1702–1768) isolated salicylic acid, the active ingredient in Aspirin, in 1753. In 1745 Stone became chaplain at Bruern Abbey in Chipping Norton, Oxfordshire. In 1758 Edward had been suffering from "agues" from a fever. He was aware that quinine derived from the bark of the Peruvian cinchona tree could be used to treat malarial fevers. Stone wondered if the willow tree bark could have similar properties. He chewed at a small piece of bark from a willow tree (salix alba) and found that it did relieve his symptoms. "As this tree delights in a moist or wet soil, where agues chiefly abound, the general maxim that many natural maladies carry their cures along with them or that their remedies lie not far from their causes was so very apposite to this particular case that I could not help applying it; and that this might be the intention of Providence here, I must own, had some little weight with me". On April 25, 1763, Reverend Stone wrote to George Parker, second earl of Macclesfield, and president of the Royal Society in a letter read before the Royal Society on June 2, 1763, describing the use of dried willow bark as a remedy for fevers and agues. This landmark paper is the basis for the discovery and chemical structure of aspirin, and the development of non-steroidal anti-inflammatory drugs, aka NSAIDs, that are still useful after 265 years in treating inflammatory pain and fevers. He experimented by gathering and drying a pound of willow bark and creating a powder. 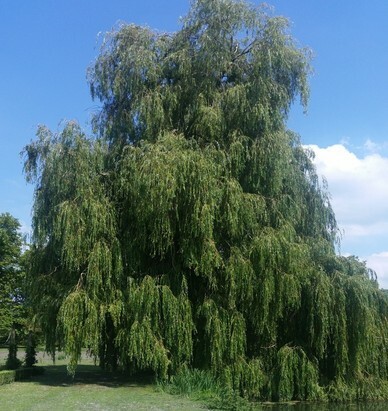 Stone gave powdered willow bark over several years to about 50 people complaining of agues or fevers; it was successful and found to be a ‘powerful astringent and very efficacious in curing agues and intermitting disorders’. Stone had discovered salicylic acid, the active ingredient in aspirin. 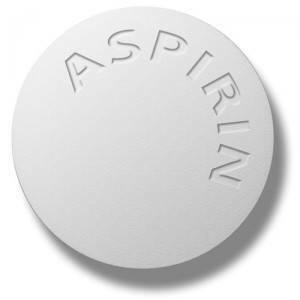 In 1853 a compound of acetyl chloride and sodium salicylate was developed and later marketed by Bayer under the name Aspirin from Spiraea for the plant group. Today it is probably the most widely used drug. The drug works as a pain reliever because it blocks an enzyme that's required for the process of inflammatory response. Salicylic acid was discovered by the Greek physician Hippocrates in the 5th century BC. Although this was known as a folk remedy Stone had wakened the medical profession to its potential.